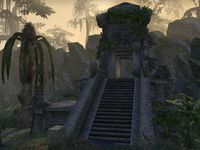 Those who call the Argonians "primitives" would do well to consider the permanence and elegance of their stonework, built for eternity despite the relentless Black Marsh rot. The still-solid corridors of ancient Atanaz are an instructive example. The Atanaz Ruins are small Argonian ruins in eastern Shadowfen, east of Alten Corimont containing Argonian Warriors. 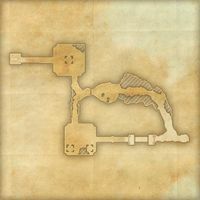 Explore and clear Atanaz Ruins.